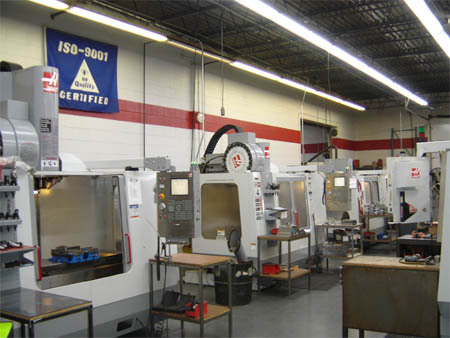 One of the primary functions of Perkins Engineering is CNC machining. We pride ourselves in our CNC machining ability. Our skilled operators working in conjunction with current technology enables us to be competitive in today's marketplace. To fill the needs of our customers we offer vertical CNC machining and CNC turning as well as abrasive waterjet cutting. These three services compliment one another and allow Perkins to develop unique time and cost saving options for our customers. Through the use of our state of the art programming software we are capable of email file transfer and translation saving valuable programming time to shorten lead time and cost. The next time you have a part that needs to be machined, think of Perkins Engineering. Let our skilled and dedicated staff work for you to offer timely service at the right price.